Pope Francis isn’t going to let the Vatican leaks and the associated scandals slow down his papacy — and he’s told some of Italy’s Church leaders as much in a major speech. It’s maybe that attitude or just Francis’s demeanour, but his recent trip to the United States has seen his popularity — and people’s comfort with their own faith — improve. That’s happened while bishops and cardinals have been battling over what the Synod on the Family really said about Communion for the divorced and remarried. Perhaps we all just need to download a new app to help us find (or stay on) the path to holiness. Pope Francis has been moving — literally — and shaking, as always, with his trip to South America and the release of his much-anticipated encyclical on the environment, Laudato Si’, dominating Catholic headlines across the globe.  They dominate much of the discussion on The 15th Station as well, but a couple of New Zealand stories also feature on this month’s show. After some discussion, the New Zealand bishops have decided they won’t be pushing for a new translation of the new translation of the Mass. In a rural part of the South Island, meanwhile, they’re wondering if they’ll have Mass at all. As for Katy Perry, she’s just trying to buy some Catholic land. All that and more, with Don, James and Gavin. 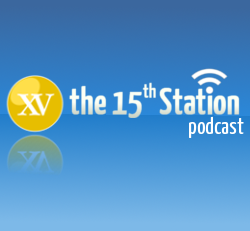 Advent is a busy season for the Church, and that includes the Station 15 panel. Working through this month’s full slate of topics are James, Lucy, Don, Gavin and — returning after many years — Gabriel. Pope Francis is the central figure in the episode, led by his first episcopal appointment in New Zealand, but followed closely by his comments on Islamic terrorism and his advice to theologians: “Listen to the people.” The panel also discusses parish amalgamations in New Zealand, following an international trend, and the vexed question “Would you baptise an alien?” Happy Christmas from the Station 15 crew.